I’ve not added to this series so long now that rumor is I’m becoming pariah among those who harness the wind. Sincere apologies! I’m totally with you all, just . . . uh . . . breathless? 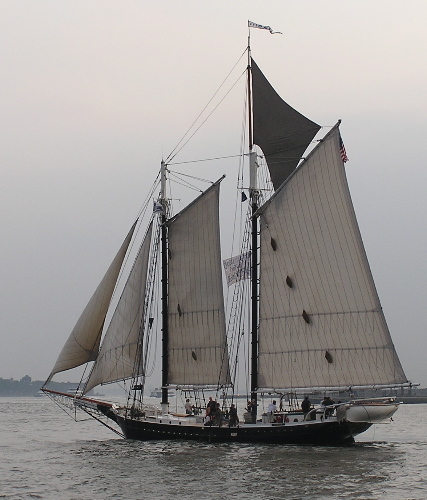 South Street’s Pioneer above and Pride of Baltimore II with unidentified escorts below. Would you believe the foto below was taken less than a quarter mile from the Battery on a supremely hazy early autumn day? 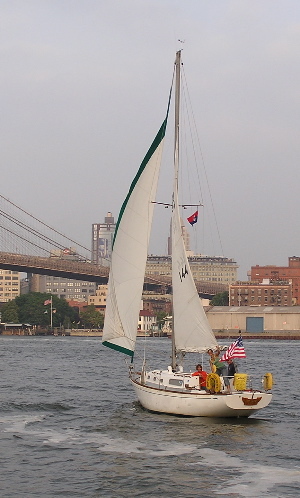 A green stripe along the jib . . . might it be– could it possibly be– Green Lantern? 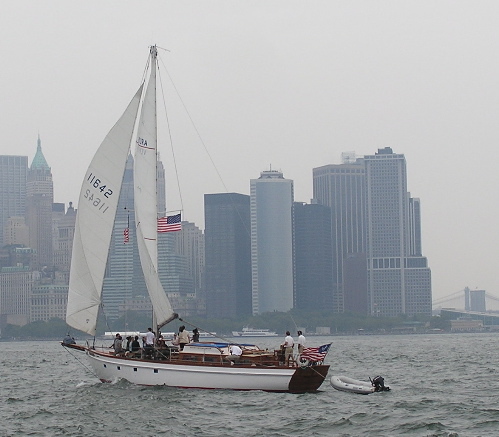 Ventura (Herreshoff built for the founder of Citibank) heads north framed by a Trump Building (green roof) and westside pillars of the Brooklyn and Manhattan Bridges. 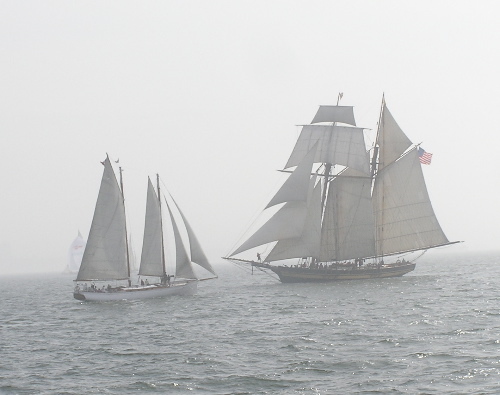 Adirondack and Pride of Baltimore II, bow to bow. About my absence . . .well Aeolus has been doing to me what he’s done to others, and I’m up to what Cavafy prayed for. I think Pride of Balitmore’s escorts are Wild Horses and White Wings, which were here as part of the New York Classic Week in October (http://www.digital50.com/news/items/PR/2007/10/11/NYTH083/panerai-classic-yachts-challenge-concludes-new-york-classic-week, http://www.nyharborsailing.com/classic/New%20York%20Classic%20Week%20Provisional%20NOR%20(v.6).pdf, http://www.nyharborsailing.com/). Pride of Baltimore looks sharp! As a former denizen of Charm City I’m indeed proud of her. I just discovered your website today! Very nice. I live on the Hudson River just south of Hudson and have been spotting and recording tugs for about 14 months. It’s amazing how often I see new ones. 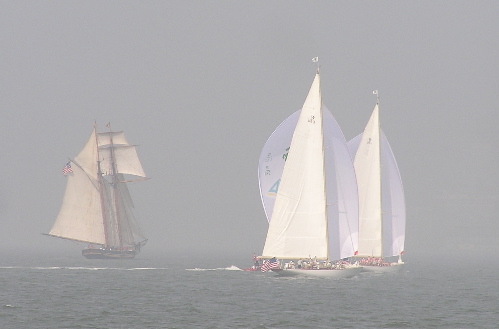 Just today: the Evening Mist (wow) and the Kimberly Poling. I’ll be visiting often. Learned something already about a familiar sight, the AV Kastner.